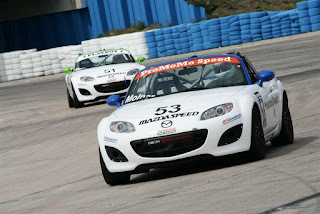 Here are the new MX Cup cars Diane & Steve will be racing next season. Diane's car has green trim while Steve's car has blue trim. 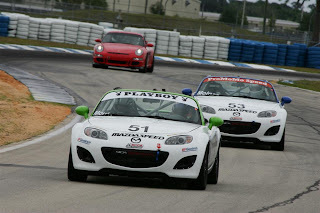 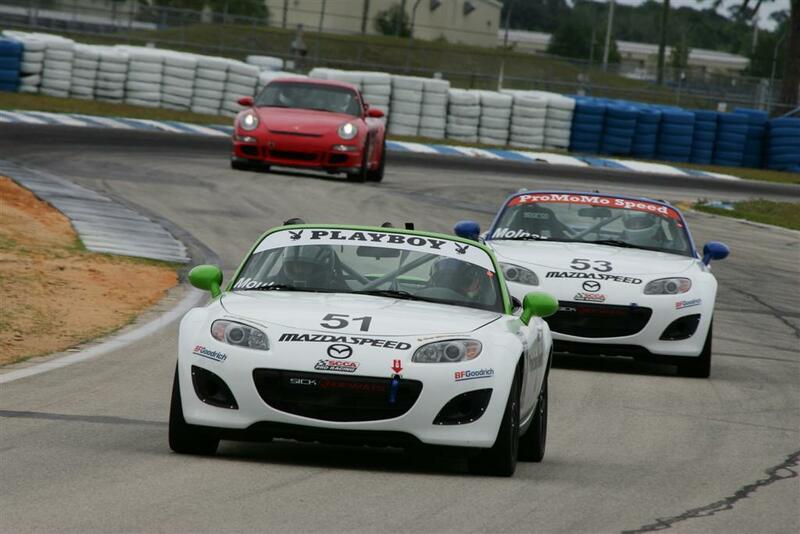 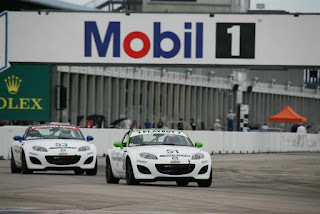 These photos are of them on track practicing at Sebring.